As the Allies advance towards Germany, they face dogged resistance from the hard-pressed German forces. Take command of the Allies in their final push to end the war in Europe, or hold fast as the German defenders as the fight is brought to your door. 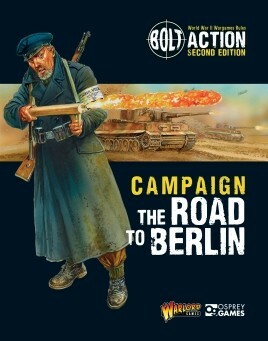 This new Campaign Book for Bolt Action offers new linked scenarios, rules, troop types and Theatre Selectors, and provides plenty of options for novice and veteran players alike.